In the first month of the summer, evenings are long and warm. The temperature is mostly pleasant, these are not the hottest days of the summer. So the circumstances are excellent for a cruise on the waves of the River Danube! Join us, and enjoy Budapest sunset time on the board of our luxurious boats or catamarans. June is the overture of the summer, and summer cannot exist without great festivals! Do you think that only irresponsible teenagers spend their time at festivals? You are really wrong! There are several fantastic ones both in cultural fields and other ones, such as sport or gastronomy. The queen of the festivals in June is The Long Night of Museums. This program was created in 1997, and in Hungary, it is regularly celebrated from 2003. The exact day of this program changes from year to year, but it is always round the summer solstice (21st of June) or the Saint John’s Eve (starts at sunset on the 23rd of June). In the old times, these two events were on the same day, and so it was really important, and lots of superstitions have connected with it. On this night, you can learn more about the Hungarian history by visiting museums at a lower price or even completely free. Moreover, there are performances, interactive and other special programs, which are not offered on other days of the year. Budapest Museum of Fine Arts is surely an excellent choice, but other museums provide valuable adventures, too. It starts after sunset. Why don’t make the sunset itself an unforgettable memory? Start this unique night with us, and book our sunset cruise! Let the quickly changing lights impress you during this magnificent hour of the day. Enjoy the natural beauty of the sunset river, then go and enjoy the cultural treasures of the museums! If you are interested in other cultures, we recommend the Judafest Festival. It is a good choice especially for families with children because it shows the Jewish traditions, meals, and some items of their cultural heritage in an easier, joyful way. Adults may enjoy the annual Czech Beer Festival, too. On the base of the former years’ experiences, you can choose among the several specialities of a good dozen breweries. Do you like dances? Then visit the Danube Carnival Budapest! Actually, this international folk dance festival, but nowadays it contains other, not too folksy items such as tango or salsa. Night summers have a special holiday-feeling. Not only museums use this facility, but even baths. Széchenyi Bath often offers open-air programs, so it is worth browsing on their website. Sometimes you can receive extras, too, such as laser show or water disco. Do you like water, but do not prefer the crowd? Or do you hate the idea of wearing a swimming suit in the company of lots of people? Don’t worry, let’s choose our sunset cruise on the River Danube! With us, you can enjoy the view of the river’s waves in the sunset from a comfortable boat. Boat Parties sound also promising, and they are organized regularly in June. 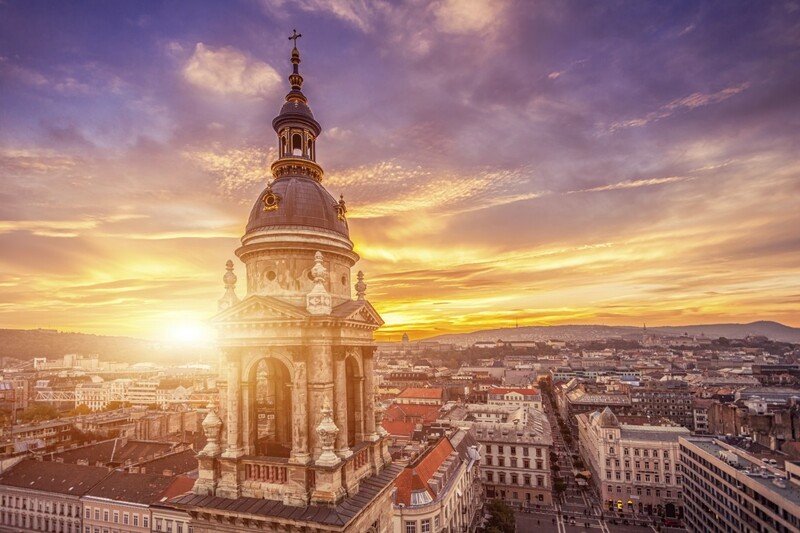 If you love classical music, do not miss the concerts at Mathias Church or the St. Stephan’s Basilica. It is also worth visiting the Danube Palace where exclusive gala concerts are organized in this month. Sightseeing tours are available in summer, too, for more information please visit Budapest Sightseeing Cruise. If you love history, do not miss the Buda Castle Tours, but we recommend you sightseeing cruises, during which you can adore the view of the historical buildings of Budapest on the banks of the River Danube. They are not ‘plain’ trips, because extra programs, such as folk, operetta, or piano shows are usually also offered. Finish the sightseeing or start the night programs with us. Please contact us immediately, book a sightseeing or a dinner cruise, and enjoy sunset Budapest today!